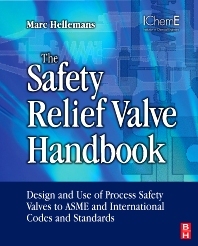 The Safety Valve Handbook is a professional reference for design, process, instrumentation, plant and maintenance engineers who work with fluid flow and transportation systems in the process industries, which covers the chemical, oil and gas, water, paper and pulp, food and bio products and energy sectors. It meets the need of engineers who have responsibilities for specifying, installing, inspecting or maintaining safety valves and flow control systems. It will also be an important reference for process safety and loss prevention engineers, environmental engineers, and plant and process designers who need to understand the operation of safety valves in a wider equipment or plant design context. The Safety Valve Handbook contains all of the vital technical and standards information relating to safety valves used in the process industry for positive pressure applications. Accompanying website provides an online valve selection and codes guide.